C2 It Multimedia provides a wide range of video and graphics related services. Our team utilizes all modern, high resolution broadcast quality equipment. But, more importantly, we have the experience and knowledge required to properly bring your project to fruition. Our work has been featured recently on NBC Nightly News, CNN, Larry King Live, and the History Channel. At the corporate or small business level we can provide video coverage of your event and deliver a fully edited DVD for your use in marketing and promotional efforts, including encoded video and podcasts for use on your web site. Need a promotional video for your new product? C2 It Multimedia can produce a complete package including all graphic and marketing related material. We can also produce complete training videos and interactive course material for use with new employees or employees at remote locations. 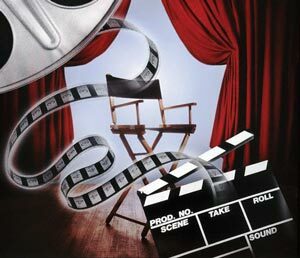 For our individual clients we offer some very special video products and services. Our 8mm film transfer service provides customers with a way to preserve their old home movies that have been laying around collecting dust and deteriorating. Of course we can also bring new life to those old VHS video tapes of your wedding, vacation, children's birthday party, etc. If you will be planning a special birthday, anniversary, or bar/bat mitzvah, a Photo Montage Video is a perfect way to celebrate the day. For those customers with a collection of old slides or negatives, we can digitize those precious memories and enable them to be shared with friends and family. Our photo/slide/negative scanning service provides you with a CD/DVD of all of your images at a high resolution suitable for printing. Below are links to more detailed descriptions of our video and graphics related services. If you're looking for a specific product or service and don't see it please contact us as there is a good chance that we can help you with your project.